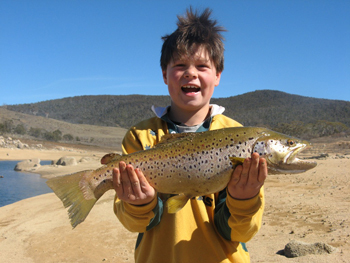 The NSWCFA, formed in 1958, is the recognised representative body for the State’s freshwater anglers, focusing on fisheries management, conservation and regulatory matters, angler access, angling ethics, animal welfare and politics. 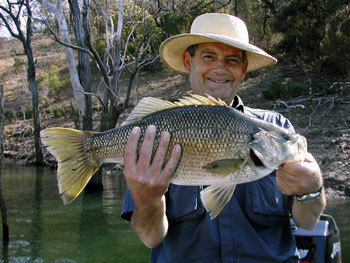 It harnesses the energy and local knowledge of regional groups and represents their freshwater angling interests to the government and to the public, and enjoys a productive relationship with the NSW Department of Primary Industries (Fisheries) and other government departments and agencies. The mission of the NSWCFA is to represent the interests of New South Wales freshwater anglers, with the aim of fostering recreational fishing in a healthy and ecologically sustainable environment for today’s and future generations. The NSWCFA is an independent, incorporated, not-for-profit organisation run by unpaid volunteers. It publishes full and detailed notices, agendas, minutes and reports of all meetings and holds democratic annual elections for an executive committee. A copy of our constitution can be downloaded here. The NSWCFA publishes a free monthly email newsletter (click here to subscribe) and a Facebook page. 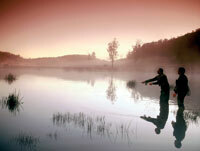 Members of the NSW include fishing clubs, associations and individuals. Member organisations are entitled to two voting positions for up to 100 members plus one extra voting position for every hundred members thereafter (or part thereof). Click here for a membership form. 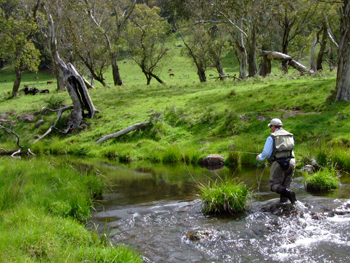 ACT Fly Fishers; Anglers Action Group (Sydney Northside); The Barrington Club; Bass Kempsey; Bass Sydney; Big River Bass Fly Fishing Club; Canberra Anglers’ Association; Canberra Fisherman’s Club; Central Acclimatisation Society; Central Coast Flyrodders; Council of Southern Districts Angling Clubs; Fly Fish Bathurst; Greenwells Fly Fishing Club; Hawkesbury Nepean Bass Anglers’ Association; Hunter Native Fish; Illawarra Fly Fishers; Inland Waters Rejuvenation Association; Lakeside Fly Fishing Club; Mid North Coast Flyrodders; Monaro Acclimatisation Society (includes Adaminaby Branch, Bombala Branch, Braidwood Fishing Club, Delegate Branch, Kydra/Kybean Branch, Anembo Anglers Club, Cabramurra Fishing Club, Cooma Trout Acclimatisation Association, Dalgety Branch, Khancoban Angling Club, Nimmitabel Branch, Tumbarumba Branch, Waterfall Farm Fishing Club, Queanbeyan Anglers Club, Tumut Branch, Upper Goodradigbee Branch, Yass Branch, Jindabyne Branch, Talbingo Branch); New England Trout Acclimatisation Society; New South Wales Rod Fishers’ Society; New South Wales Coarse Angling Research Club; Orange Trout Acclimatisation Society; Professional Fishing Instructors & Guides Association; Scone Amateur Fishing Club; Singleton Fly Fishing Club; Singleton Flyrodders Association; Southern Bass Fishing Club; Springwood Fishing Club; Sydney Fly Rodders; Sydney Coarse Anglers; The Lakes; Vikings Fishing Club; Wingham Anglers. Freshwater anglers are invited to make a special contribution to the NSW Council of Freshwater Anglers (NSWCFA) in the interests of all freshwater anglers in NSW. 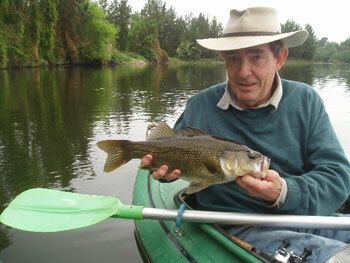 You will be well aware of the challenges freshwater anglers face in sustaining the freshwater fishery in NSW, especially regarding the preservation of angler access. The NSWCFA constantly strives to overcome those challenges but we need your financial support to meet the costs of that work. We are appealing to members who can afford to make a small extra annual contribution to become NSWCFA Foundation Members to help meet our operating costs. Foundation Membership is just $25 per year—less than the cost of a NSW fishing licence. Foundation Members are recognised in the NSWCFA website and in NSWCFA newsletters. Your contribution will help meet the cost of hiring meeting venues across NSW and out-of-pocket expenses for committee members who attend meetings on your behalf (such as train, taxi, bus and parking). Your contributions will also be used for the production of our monthly email newsletters, which are sent to hundreds of members, for stationery, copying, postage, internet and telephone costs, insurance to cover the personal liability of committee members, affiliation fees to the Recreational Fishing Alliance of NSW and corporate return filing fees. You can pay by cheque, direct credit, Visa or MasterCard. Please click here for a Foundation Membership form. Our Foundation Members are Adaminaby Fishing Club, Damian Balfour, The Barrington Club, Don Barton, Garry Brown, Kevin Brown, Oliver Brown, Vicente Butron, Ken Chapman, Richard Cottam, Richard Chesham, Geoff Davis, Radge Diakiw, Fred Dunford, FlyLife Publishing, Peter Gibson, Max Harris, Laurie Hoffman, Gordon Jones, Anonymous, Kevin Kai, Michael Lyons, James Mackie, Rob Marich, Peter Mason, New South Wales Rod Fishers’ Society, Sean McSharry, Ben Nieuwerth, Alan Phillis, Wayne Power, Ian Roache, Don Salter, Joe Searl, Paul Summerhayes, Anonymous, Hock-sook Tham, David Tinworth, Lofty Tottenham, David Wilson, Colin Wise. Click here for contact details of committee members. The Council meets on a quarterly basis, with delegates from local clubs attending from all over NSW. Managers from the NSW Department of Primary Industries and other government departments and agencies also attend the meetings. Meetings are held on the third Saturday of February, May, August and November commencing at 9.30 am. Working meetings and video hook-ups of the executive committee are held in between quarterly meetings. The May 2019 quarterly meeting of the NSWCFA will be held on Saturday 16 May 2019 at the Freeway Hotel, 115 Reserve Rd, Artarmon NSW 2064. For contact details of the executive committee click here.